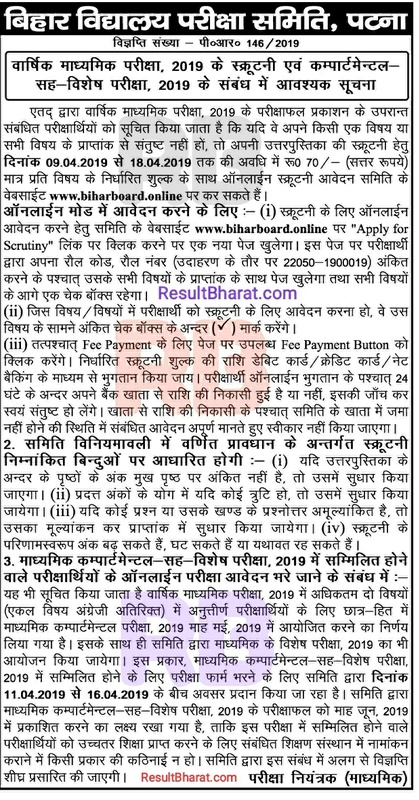 Short Information : Bihar School Examination Board BSEB Patna Are Recently Invited Online Application Form For Matric 10th Class Scrutiny & Compartmental 2019. All Eligible and Interested Candidates Can Read Full Notification Before Apply Online Now in The Given Link Below. Payment Mode: Pay the Exam Fee Through Credit Card / Debit Card / Net Banking Fee Mode. For More Details, Read Official Notification.